Hey, lovers. Valentine's Day is just around the corner and love is in the air. If you want to do something different—besides the cliche heart-shaped chocolate or a bouquet of red roses—there are plenty of fun activities and date night ideas in Dallas. This is a don't-miss activity for the chocolate enthusiasts in your life. Tour four chocolate-related venues (about 3 hours per tour) on a very nice bus. Wine is also served while traveling between venues. Enjoy samples of chocolates, pastries, ice cream, and other delicious treats. Hear some fun facts about chocolate, learn how it is made, and play chocolate trivia for prizes. Couples will enjoy a 30-minute, private sightseeing flight over Dallas’ iconic skyline. After touch down, a three-course dinner is served beginning with a caesar salad. Entrée selections include a grilled ribeye with Cabernet mushroom sauce; tilapia topped with mango pico de gallo; grilled chicken served on a bed of linguini with onion and garlic cream sauce; and tri-colored rotini vegetable pasta with zucchini, artichokes, squash, onions, bell peppers, and tomatoes. Dessert choices include a chocolate brownie sundae or raspberry cheesecake. Dinner & Flight is offered Thursdays through Sundays from 5:00 p.m. to 9:30 p.m. Reservations are required and must be made by phone. Please call 972-655-6665 to reserve a flight. DFW is well-known for its fantastic dining scene. Treat your Valentine to a delicious meal prepared by some of the metroplex's greatest chefs. Abacus is one of "Iron Chef" Kent Rathbun's famous restaurants. For Valentine's Day, there's a special four-course menu ($90 per person) with dishes such as venison guiso empanada, spicy shrimp and crawfish bisque, grilled ratatouille lasagna, and dark chocolate ganache tart. We've all seen beautiful hot air balloons in flight over the Metroplex and maybe even have attended the annual hot air balloon festivals. But have you ever thought of taking a romantic ride in one? That would be an incredible Valentine's Day adventure. Rohr Balloons specializes in sunrise or sunset balloon rides complete with champagne. Want to pop the question? They can help you out with something extraordinary. It's safe (each balloon comes with an FAA commercial licensed pilot), and it's thrilling. The cost starts at $249 (per person) for a group flight (2-10) in a larger balloon or $750 for a private flight (with the pilot). The latter includes champagne after the flight and photos. Balloons depart from McKinney. For more information or to schedule a balloon flight, contact Brian Rohr at 214-733-9915. Don't just make a quick stop by the local supermarket. Instead, check out some of Dallas' best gourmet chocolate shops that sell everything from chocolate handcuffs to chocolate cigars. One of the favorite stores is the Rocky Mountain Chocolate Factory. They have something for every candy-lover like homemade truffles or a Rocky Road Caramel Apple. 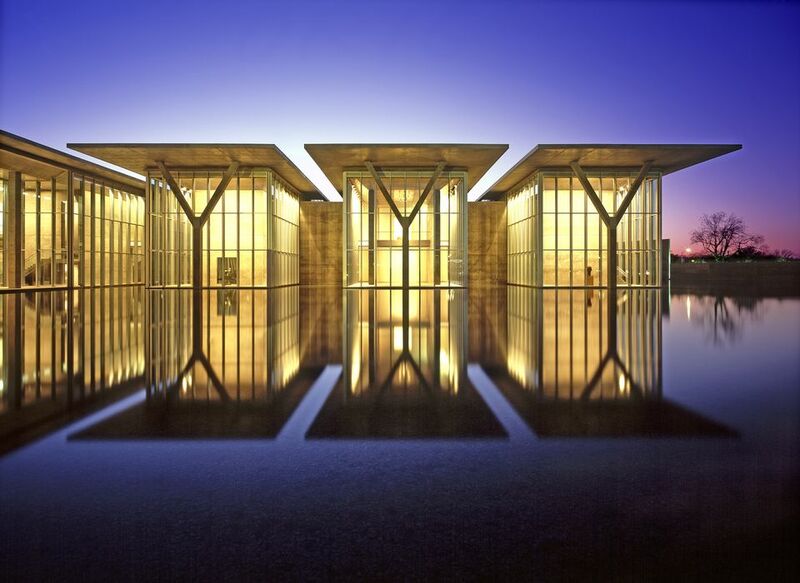 Art enthusiasts will love a date at the Dallas Museum of Art, where they can see its extensive exhibits on art, contemporary design, and more. You'll find a wide variety of children's items, gifts, jewelry, textiles, and prints. The Museum Store is a valuable resource to nourish the collector in us all. There is a series of murders at a romantic Valentine’s Party. It's up to you to weigh the evidence, interrogate the suspects, match wits with the detective and solve the dastardly crimes. This fun evening includes hors d'oeuvres and a three-course gourmet meal, along with the show, plus the opportunity to shake that groove thing to the hits. The evening brings together the elements of an Improvisational Comedy Show, an intriguing Murder Mystery, a dining venue and bar, and a dance nightclub complete with disc jockey... giving the audience the unique ability to celebrate Valentine’s in a memorable and enjoyable fashion. It's a very realistic, live action, interactive murder mystery unlike any you've seen before. The 29th annual event will be held February 16, 2019 from 7 p.m. to 11:30 p.m. at the Omni Dallas Park West Hotel. Per person price is $119 (+ fees) for the show, a three-course dinner, and passed hor d'oeuvres. Add a night at the hotel for $130 (+ fees). Want to race your Valentine? On February 9, 2019, more than 10,000 runners and walkers will participate in America’s Sweetest Race, the Hot Chocolate 15k/5k in Fair Park. Join your fellow runners, walkers, and chocolate-lovers for the most scrumptious post race party in the nation! Enjoy your finisher’s mug filled with chocolate fondue, dippable snacks, and hot chocolate, of course. Greet your loved one with a g'day and the gift of a cuddly koala on Valentine's Day. The Dallas Zoo is the only place you'll find koalas in Texas and one of only 10 zoos in the nation with these cute creatures. When you adopt a koala, your Valentine gets all of the parental pride without all the work. The zoo handles the cleaning, feeding, and housing for the koalas. You'll receive the satisfaction of knowing that your gift helps support animal care at the zoo. The cost for this Aussi-some gift is $50. Your valentine will receive a photo suitable for framing, a koala-themed card, an adoption certificate, and a plush koala. If you want to surprise your coworkers or your loved ones this Valentine's Day, check out these cute cookies from Amy's Cookies. Made-from-scratch, iced cookies can be personalized with almost anything imaginable. Whether you want to celebrate with coworkers or your sweetie, these sweet treats are sure to be a hit. A wicked kind of love will be introduced at Moxley Manor’s Valentine’s Day Haunted House in Dallas / Ft. Worth, Texas. The haunted attraction will be open for a night of fright for those of you looking for an alternate way to celebrate the Valentine’s Day holiday. The event takes place at Moxley Manor on February 15 and 16, 2019 from 7:30 p.m. to 10:00 p.m. Prices are $25 a ticket or $40 for a fast-pass ticket. Give the gift that really does keep on giving this Valentine's Day. The Dallas Foundation’s Giving for Good card program is the first of its kind in North Texas. Much like a retail gift card, a Giving for Good card can be redeemed to benefit any 501(c)(3) public charity in the United States, including schools, churches, and synagogues. You can order a Giving for Good card and give the card to celebrate a special occasion such as a birthday, holiday, or a job well done.